We ride a Tomos Golden Bullett, a 2-stoke Slovenian moped popular in the USA in the 1970's and 1980's. This is the first recorded time that The Roman attempted to sing "The Winga-Dinga Song". This episode contains a reference to "everybody's swollen-bellied, barbecuing, buying-on-margin uncle", which is probably also the same uncle who introduces themselves by saying "I'm your uncle!" 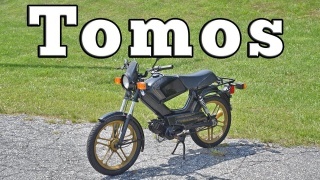 The Tomos Golden Bullett is not a car. This page was last modified on 8 March 2019, at 22:20.